Three Transformative Uses of Acupuncture - Doctor Hermann M.D.,P.A. The thought of needles usually sends people running for the door with images of blood being drawn and shots being administered. Acupuncture, a therapeutic art handed down from ancient Chinese medicine, changes all of that by offering incredible health benefits without any of the pain typically associated with needles. Traditional acupuncture is founded on the belief that energy flows through the body in channels, and when that energy goes off track or becomes blocked, pain and illness form as a result. In today’s Western medical applications, it is believed that acupuncture’s tiny needles stimulate sensory nerves under the skin and in the muscles, effectively producing endorphins and other natural substances that help the body feel better and heal. First and foremost, acupuncture can relieve chronic pain in the back, neck, knee, and joints. Many different studies have been completed to determine whether acupuncture is a “placebo effect” or a legitimate treatment option, and all of the results indicate that acupuncture does legitimately reduce pain and suffering in areas plagued by pain. Experts believe that the acupuncture needles trigger the body to release more endorphins, which can fight off pain. 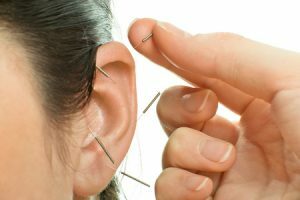 Acupuncture can also be used to reduce headaches and migraines. In a 2009 research case that collected data from 11 studies involving more than 2,000 acupuncture patients, researchers concluded that acupuncture helped decrease the number of headache days and the headache pain intensity that patients experienced. Believe it or not, acupuncture can even treat insomnia. Unlike sleep medications that might leave patients feeling groggy and fatigued during the day, insomnia helps bring the body and mind back into balance so it can achieve consistent sleep patterns.